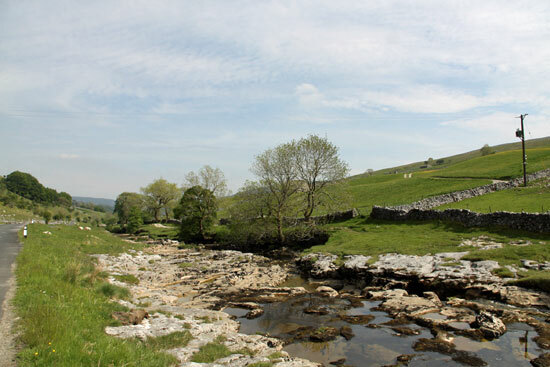 Wharfedale is a Winner in the Dales, come for a relaxing holiday and some walking to make the most of the scenery. Rent a good quality Yorkshire Dales cottage for your stay. Wharfedale is the upper valley of the River Wharfe and is known for being one of the loveliest of the Yorkshire Dales. In addition to admiring scenic countryside, families on holiday have the opportunity to go walking and cycling. Grassington is a small village, but its event calendar is very ambitious and successful. Grassington Festival takes place for two weeks in June and showcases live music, dance, drama and art plus talks and workshops. Such is the prestige now attached to the festival, the 2013 headliners have been announced as Jools Holland and his band and folk rock favourites, The Levellers. If you want a winter break in the village, prepare yourself for a celebration of Charles Dickens and his yuletide stories. For three Saturdays in December, a traditional market, street entertainers, music, dance and traditional country crafts combine in the Dickensian Festival. Villagers get into the spirit of things and dress up in Victorian clothes. Two 1700’s miners’ cottages were converted to make the Grassington Folk Museum, where visitors learn about life in Upper Wharfedale. Geological specimens, domestic artefacts, memorabilia from World War II, local crafts, costumes, farming artefacts and the story of the local lead mining industry are all on display. Also on display are old cameras, sewing machines and early vacuum cleaners. Ramblers and pony trekkers love the wide-open space of Ilkley Moor, which overlooks the town of Ilkely. Climbers are attracted by the imposing Cow and Calf Rocks, a well-known landmark in the area. In the spa town itself, visitors have a superb range of independent shops. However, a very special place for refreshments has helped to make Ilkley such a favourite. Betty’s Tea Room is a reminder of more elegant times. Antique teapots and stained glass windows set the mood for teatime treats and delicious cakes in this most famous of cafes. Children and adults alike love exploring the Toy Museum in Ilkley. Said to be one of the most impressive toy collections in private ownership, a population of dolls with their dolls’ houses and teddy bears greet the visitors. In addition, the museum exhibits wooden and tin plate toys, games and traditional jigsaws. Baby boomers are particularly interested in toys from the 1950s and 1960s. However, one of the highlights is the working model fairground from the 1940s. From 350BC to the present day, this museum is a treasure trove of social history, memories and nostalgia. You can take something home too, as there are toys and games on sale. Everyone loves swimming outside on a sunny day and this is made possible in Ilkley at the Ilkley Lido (shut in winter), which was constructed in 1935. As one of only 127 lidos left in England, Ilkley folk are fortunate indeed. Otley is a vibrant market town with lots of markets and niche shops. It’s overlooked by Otley Chevin, where families gather to have picnics, ride bikes or simply enjoy the view. For the size of the town, Otley has a staggering number of annual events. These include the Otley Show, Otley Carnival, Otley Walking Festival, Otley Street Festival, Otley Folk Festival, Otley Beer Festival and the Victorian Fayre, held in December. Yorkshire is known for its scenic waterfalls and Linton Falls, near Grassington, are well worth a visit, as the River Wharfe puts on a show. Linton village, which is actually quite a way from the falls, is very pretty and secluded with an attractive church. On the banks of the River Wharfe, the town of Wetherby is a good shopping and eating hub and has a long tradition of receiving recognition in the ‘In Bloom’ awards. Enthusiasts of horse racing may already be familiar with Wetherby Racecourse. Punters have won and lost here since 1891 and it is the leading course in Yorkshire for the National Hunt racing season. Operating from mid-October to early June, the facilities here are first class. Also on the banks of the River Wharfe, Bolton Abbey is a popular day out for families. The priory ruins are set within acres of gorgeous countryside. You can walk by the river, on moorland paths and through woodland. Take a picnic or take advantage of the refreshments laid on. For a souvenir, there are two gift shops, each with different kinds of merchandise. Nature lovers will appreciate Grass Wood Nature Reserve. Ancient woodland, plants, bird life and animals combine to make a lovely day out, away from it all. Look out for the great spotted woodpecker, nuthatch, red fox, badger and roe deer. A scarecrow festival is lots of fun for all ages and the one at Kettlewell is an annual opportunity to enjoy yourselves and help to raise money for local organisations. You never know when you’ll see a scarecrow, as they pop up in some surprising places, even on the rooftops! For nine days in August, scarecrows are to be seen in gardens and different hideaway locations. Find all the scarecrows by following a trail laced with clues. If you enjoy traditional agricultural shows, why not time your holiday so you can attend the Kilnsey Show. It’s a family day out, with local produce, crafts, floral displays, horse events, sheep dog trials, fell racing and harness racing. Farmers also show various cattle and sheep breeds. So, Wharfedale offers something for everyone and its scenery is complemented by small towns, known for their celebrations, both modern and traditional. This is Yorkshire at its best and visitors return again and again. Do come and stay in Wharfedale and get to know the Dales better. There are plenty of lovely cottages and self-catering apartments for a private and comfortable holiday. On yorkshiredalesengland.co.uk you can find a great range of accommodation for your Dales holiday. Whichever Dale you want to stay in, each has its own unique charms and appeal.